Kathryn will be making her Opera North debut in the role of Sesto in their production of Handel’s Giulio Cesare. 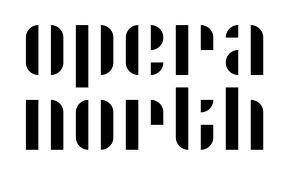 Opera North is an award-winning opera company and one of the leading arts companies in Europe. Performances of the production can be seen in Leeds, Manchester, Nottingham, Newcastle and Dublin between January and March 2012. A highly talented cast will be directed by Tim Albery, who has directed some of Opera North’s most successful productions over the past few years. Written at the height of his success, Handel’s sumptuous music is most admired for its brilliant characterisation and power. Egypt, ancient times. Cleopatra uses all her considerable wiles to persuade Caesar to join her in an alliance against her brutish brother Ptolemy, with whom she rules the country. Murder, battles, plots and counter-plots ensue before Caesar and Cleopatra emerge finally triumphant in both love and war.